The trade show floor is no place for the faint of heart. Cutthroat competition, battling media, dueling devices – the global GPJ team has seen it all. We don’t believe in short cuts. When we develop your end-to-end trade show marketing, we plan and execute every step, from award-winning design and fabrication to your event portfolio and ROI analysis. You’ll work with the best brains in the business and an agency that Advertising Age consistently names the number one firm for event/experiential marketing. A great trade show experience builds relationships and creates deep, lasting interactions. It’s easy for agencies to say they’ll do this, but we’ve seen a lot of haphazard strategies and static displays in our time. Enter the GPJ team. Even while we’re devising an interactive experience with cutting-edge event technology, we retain an almost obsessive focus on your end goals. 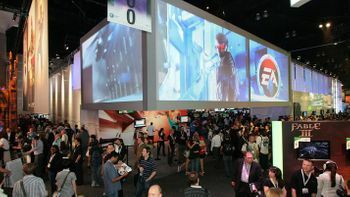 Strategic Approaches that treat trade shows as a series of a live, digital and networked interactions over time, not one-off events. Coordinated Pre-Show Promotion targeted specifically at qualified leads. 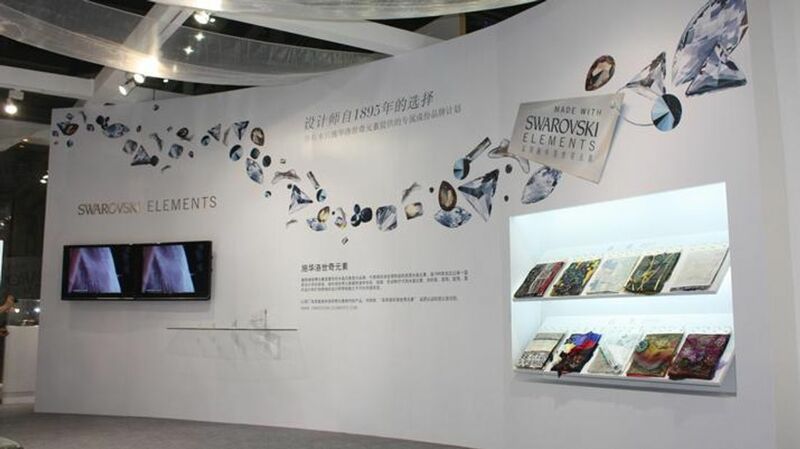 Award-Winning Trade Show Exhibitions that showcase your product, support your brand’s key messages and prove instantly popular in the social sphere. 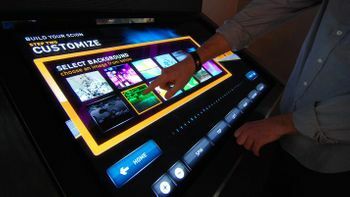 Interactive Product Zones providing meaningful, hands-on experiences for trade show attendees. Dynamic Presenters and Media Elements designed to stimulate audience engagement and response. Cost-Effective Trade Show Displays that use innovative techniques to make the most of your space and budget. Detailed ROI Analysis to determine your trade show program’s effectiveness and possible next steps. Flat and passive trade show exhibitions are a thing of the past. Today, attendees expect experiences where they can interact with brands in a meaningful way. Without an experiential strategy, you’re ignoring both hearts and minds. On the other hand, when such a strategy is in place from the start, the benefits can be exponential. Be Remembered as an Innovator: You are what you display at a trade show. 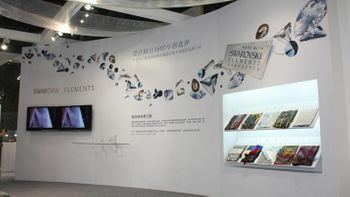 GPJ exhibitions with experiential elements – talkback sessions, multimedia explorations, instantaneous social sharing – generate much better brand favorability and retention numbers. Integrate Technology to Maximize Stickiness: Award-winning media and technology will always be part of a GPJ-designed experience, but we like to take things one step further. We design our work to be truly interactive – we want ideas to stick. So we use technology tools and devices strategically, to increase retention. Shorten the Sales Cycle: GPJ trade show events drastically shorten your traditional sales cycle. Attendees who are engaged, stimulated and educated take less time to reach the purchase stage. Your brand ambassadors can spend more time making connections with high value prospects. And your company will waste no time on event management. Generate Social Advocacy: At GPJ, we’re determined to make brand evangelists out of your trade show attendees. We want people to be so excited by your work that they jam the social networks in their effort to get the word out. That’s where our creative strategists come in, inventing one-of-a-kind experiences that produce instant buzz. Create Long-Term Brand Loyalty: Memories of trade show events are short. Memories of GPJ trade show experiences, on the other hand, are the prelude to lifelong brand advocacy. By entertaining, enthralling and educating attendees, you are building relationships and connections that will pay dividends in years to come. Reduce Overall Costs: We hate waste – wasted time, wasted money, wasted opportunities – we won’t tolerate any of them. Which is why we keep all of our trade show marketing in-house, streamlining processes and delivering top quality work on time. Respect for your budget is a top priority. Maximize Revenue: In the end, showing you the progress on your key performance indicators is what it all comes down to. With our ROI analysis, you learn which goals have been achieved, where the biggest gains have been made and possible avenues to take in the future.